When snow falls, many drivers are often angry at road workers. The biggest problems with new snowfall occur mostly on motorways, and additional inconveniences are caused by drivers who do not have proper winter equipment on their vehicles. Have you ever wondered how snow plowing looks like in other countries? These days, a video from the United States of America, Minnesota, has landed on the web, in which it can be seen how road workers are performing their work there. A month ago a lot of snow fell on the I-94 highway, so road workers who were in charge of snow plowing were on the way. 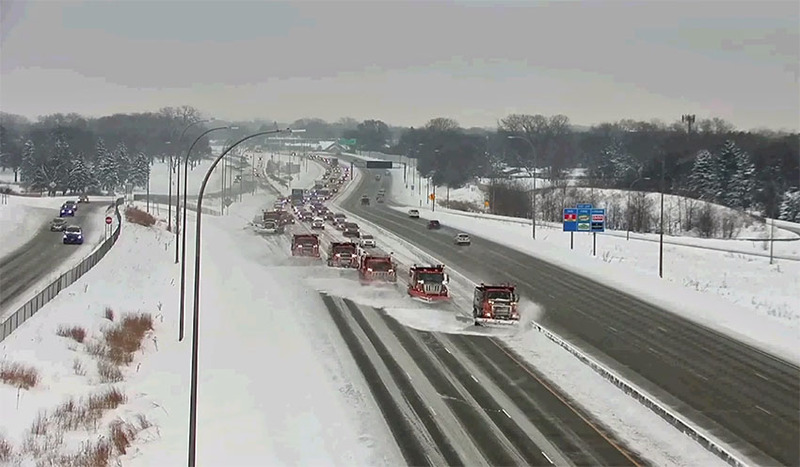 In the vicinity of Maplewood, surveillance cameras recorded the moment when snow was splintered in a few minutes by road workers on the highway. Take a not that the video is speeded up.